What is Form G-639 Used For? Filing a FOIA request (Form G-639) is an excellent way to understand what USCIS knows about you. That’s why immigration attorneys regularly use a FOIA request to gather information about their clients. Attorneys want to get all available information so that they can provide informed advice. The FOIA request is also a great way to get information about your family genealogy. You can gather actual records filed by a family member that immigrated to the United States many years ago. To determine the status of a pending application. Instead, call the USCIS National Customer Service Center at 1-800-375-5283. For consular notification of a visa petition approval. Instead, use >Form I-824, Application for Action on an Approved Application or Petition. To request the return of original documents. Instead, use Form G-884, Request for Return of Original Documents. To request records of naturalization prior to September 27, 1906. Instead, write the clerk of court where the naturalization occurred. 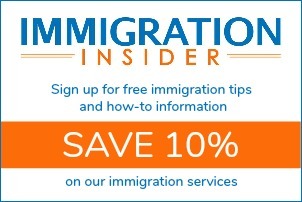 To request information on USCIS manifest arrivals prior to December 1982. Instead, write the National Archives. To obtain proof of status (i.e. Social Security benefit, Selective Service requirement).